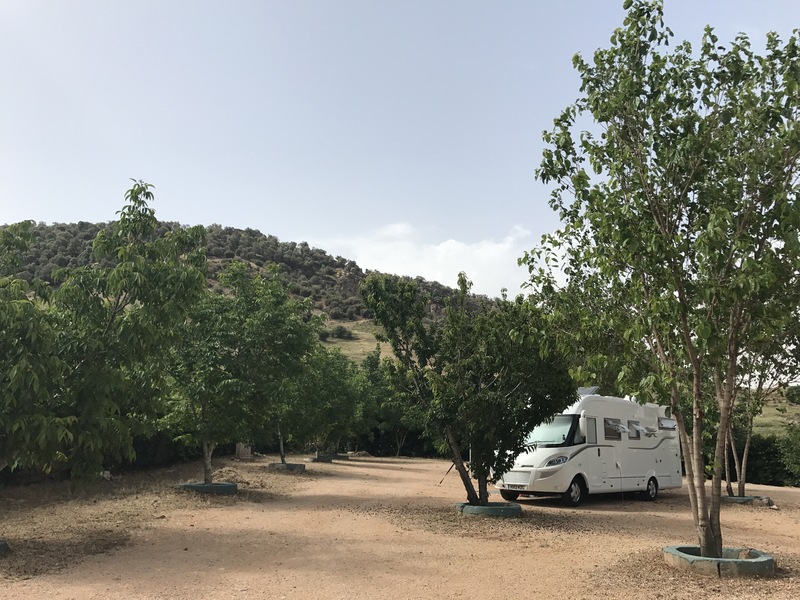 We paid £16 for two nights at the Azrou campsite set in orchards of cherries and walnuts and we were overwhelmed with the scent of honeysuckle and roses whilst eating our breakfast. The site was beautifully kept and chickens, roosters and chicks wandered free with domestic rabbits – but there was a downside, an unseen donkey nearby that produced the most disgusting noises right under our window – think of ten drunken elderly aunts vomiting loudly every two minutes – when would that wretched creature shut up and go to sleep? In the morning we headed south towards Imichil, a small town set in a river valley 2000 metres high in the Atlas Mountains. 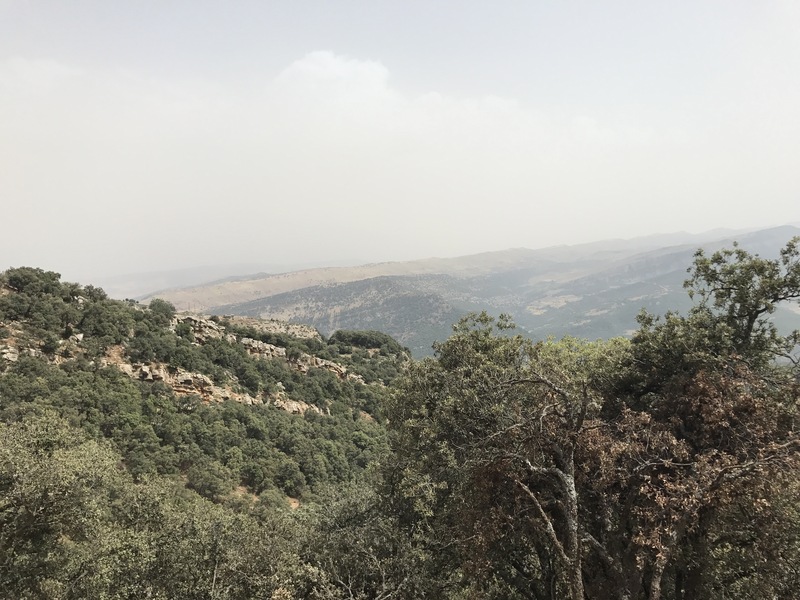 We had watched dark thunderstorm clouds rolling across the mountains above us and as we travelled on we became aware of indications of heavy rainfall.